These days no family is complete without a pet that usually comprises of a dog or cat or birds. In the olden days a household would typically own cattle, poultry, a dog and a horse. This bond between humans and domestic animals has been intact since a long time. Many households treat their pet more as a family member than just an animal. Thus daily vaccination and healthcare of these animals is done. This is necessary not only for the good health of the pets but also the family at large. 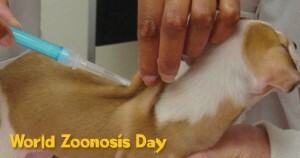 Today, 6th of July is World Zoonoses Day. The term Zoonosis means diseases that are transmitted from animals to human beings. It is not a very popular day and hence more important from the awareness point of view. Several animal welfare NGOs, local bodies and government bodies have been working hard, especially in Asian countries to draw light upon this day. In countries where the problem of stray animals exists, the chance of spreading Zoonosis is higher. Hence these organizations conduct free of charge vaccination drives, Awareness drives, adoption drives. In India the Stray Animals Committee oversees the well being and vaccination of stray animals. Properly vaccinated stray animals can be put up for adoption. This helps in reducing the number of strays as well as re-contamination. The most widespread and deadliest of such disease is rabies. Not only your pets or stray but all domestic even those raised for meat should be regularly vaccinated because the meat of the animal that is not properly vaccinated is not fit for consumption. Rabies Control Society surveyed that almost 30,000 people in India and more than 50,000 people all over the world lose their lives every year due to zoonotic diseases like rabies and TB. As a common man one can participate in such campaigns and volunteer to help the veterinarians or other skilled authorities or make donations for free vaccination drives. Usually children seem to be more aware and enthusiastic in such drives, one can surely accompany their children. 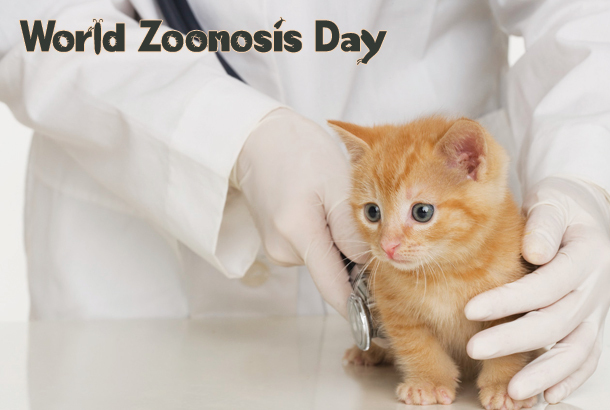 Or you can simply join us at our World Zoonoses Day promotion at Khao Kheow Open Zoo. Our team JTTJ urges you to observe and promote this day for a healthier, happier society; a society that loves and respects its four legged members too.